Lounge and relax at home, but look good doing it. Designer Living apparel is perfect for a relaxing day at the house. 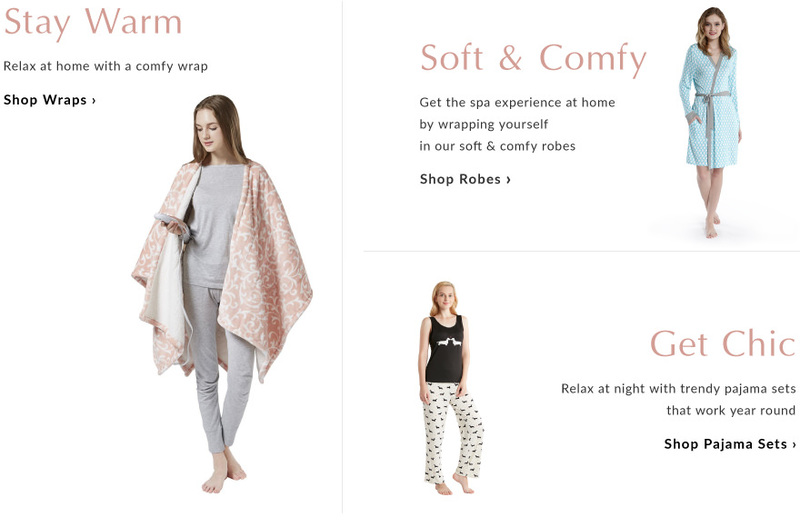 Featuring trendy pajama sets and cozy bath robes for the ultimate bed and bath experience, Designer Living offers luxury home apparel at affordable prices. Shop the best comfort at bargain prices, featuring popular brands such as Madison Park, INK+IVY, and Beautyrest. Wind down and snuggle with throws, wraps, and pajamas. From microlight plush and berber materials to luxurious cashmere, Designer Living apparel guarantees you’ll feel warm and toasty with the best materials.